your password is not correct forget password? Guangzhouhotel.com is one of the most popular local websites wholly owned by HRC WORLDWIDE, a leading online travel agency in China. In Guangzhou, the most modern city in Southern China, a one-stop travel service including hotels, ticketing, and local tour could be more convenient for you. 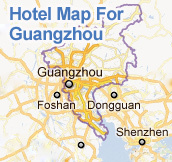 Local-based Guangzhouhotel.com could be your best reliable insider and qualified service provider to make your trip to Guangzhou and China as smooth as silk. Save time and money with our “Handpicked Specials” and “Quick Booking!” for all your staying in Guangzhou. With more than 12 years' experience on Canton Fair hotels and travel service, we know better and arrange better than others. Contact Us now for your trip to the upcoming 120th Canton Fair (2016 Autumn Canton Fair). 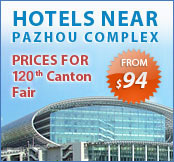 Guangzhouhotel.com accepts the payment via PayPal, Discover Card, MasterCard, American Express and Visa Card. copyright © 2001-2017, guangzhouhotel.com all rights reserved.